Successful electric heater operation and functionality are heavily dependent on the specifications you provide to manufacturers. It's important to review key project factors before defining the equipment that you need. 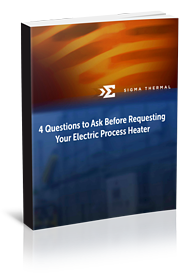 Download our eBook, 4 Questions to Ask Before Requesting Your Electric Process Heater.